I have lived here several years and I still learned about areas I had never heard of using the app. His tours are amazing and I recommend them to everyone. The only thing I would change about this one is that he says to avoid the west side of the island. Dude, the west side is the best side. There are so many great hikes out that way and the sunsets are spectacular. Kaena Point is one hike I recommend to everyone who visits me. Heck, my favorite beach is on the west side. Obviously don’t leave anything valuable in your car but that’s recommend for anywhere you go on island. 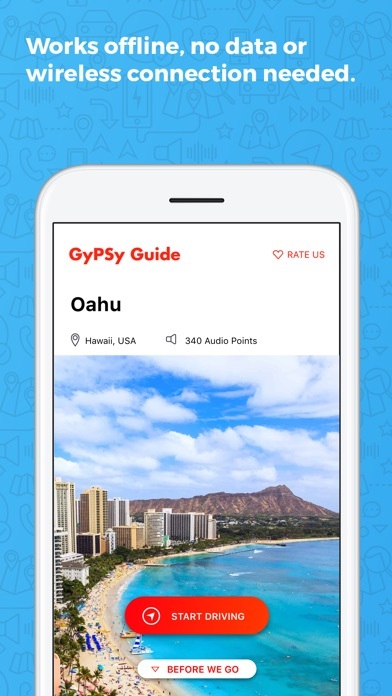 We have used the Gypsy apps in several places in Hawaii and the mainland US. We love it. It gives you lots a very useful information. It is educational and tells stories. All ages will love it! I’ve used the Hana and Oahu Gypsy Guides and LOVED them. They’ve added a rich, EASY depth to our travels — so now we always look for GG whenever we head on a trip. Voice is great; Details are excellent; Ease of use is wonderful. WE LOVE GG!!!! We enjoyed the app. The narrator was informative and timely. I did wish that at some points beginning around the North shore, a mention of how far or how long it would take to get back to Waikiki would have helped me plan how long to stay at certain spots. 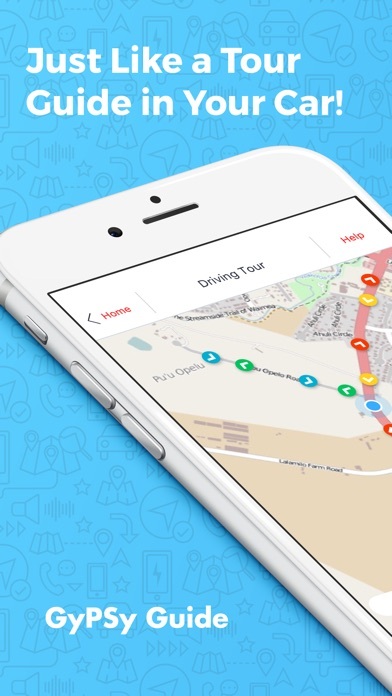 Great app for the price couldn’t have made my drive without it! This app is so nice. We loved it. It is informative AND entertaining! I came to Oahu 10 years ago in 2008 and paid for an island tour. And it is so true, those island tours stop at places you don’t care about and don’t stay long enough at The places you do want to see. You can rent a car through TURO app for a few days, cheaper than a family could take an island tour. (It may not be good for older folks Or paranoid people that shouldn’t be driving in new places though )This time I knew I wanted to stay on the north shore and stay away from the crowds. 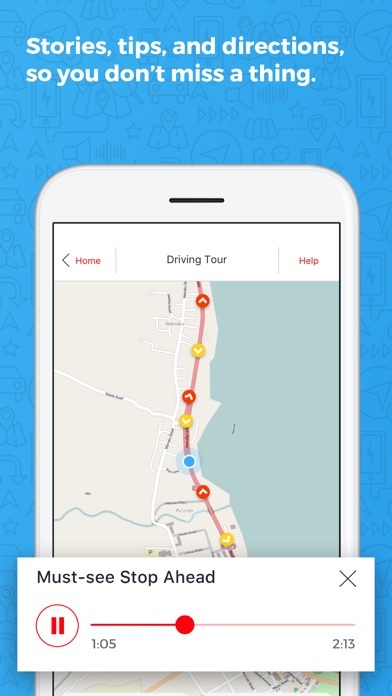 This app was so perfect for our trip. Between getting the info from it and using google maps when we were not on the tour it was a Nice combo ! This app is FANTASTIC! A friend of mine downloaded it for a visit to Oahu in February. We were kinda playing things by ear, and figured we’d give it a shot. We didn’t put too much research into what we were visiting, but when we got home, people were surprised by all the awesome stuff we had seen! The guide is amazing! Entertaining and not dry when describing things, even funny! I have recommended this tour to several friends, and they love it too! We downloaded this after our excursion was canceled. It was probably the best part of our trip so far!! The narrator is very easy to listen to and very informative. 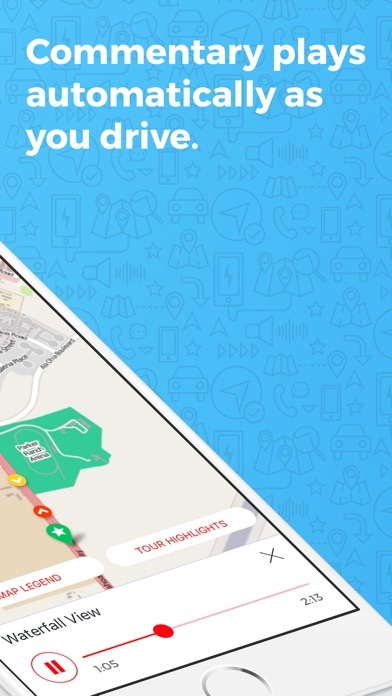 The app follows your location very well!!! I would recommend this app to anyone and everyone!! Only two small things would make this app amazing. For it to 100% work while in the background. If you go to a text or listen to Pandora it may skip some of the narrative. Or a couple of the places where you needed to turn off weren’t clearly defined like pipeline beach or turtle Beach. We missed the turn offs for those because he said he would let us know where to turn and didn’t. We just looked up a regular map and realized we’d missed it and turned around. Even the narrative driving back to Waikiki was very informative and fun. I’ve been to Oahu many times but on this occasion I brought some friends that wanted to see the whole island. 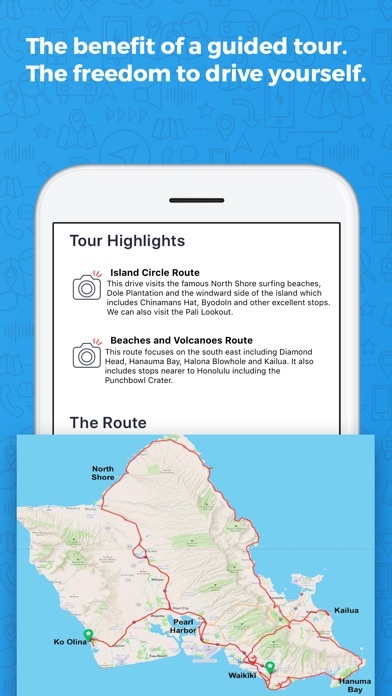 I bought the app because i used the same company App on Maui. It is just a great program. It’s spot on with locations and provides good commentary. It divides the island up in 4 ways and you choose what you want to see. I had a technical issue and called the help number fully intending to listen to pre recordings. I was shocked when I got a real person and got personal service. I’ve never been more impressed with an app. Highly recommend this app.